In root canal therapy, a tooth’s nerve is removed and the inside of the tooth is cleaned out thoroughly. Root canal therapy may be necessary when: A tooth is infected, decay has extended to a tooth’s nerve, a tooth’s nerve is exposed from trauma, a patient has a toothache. 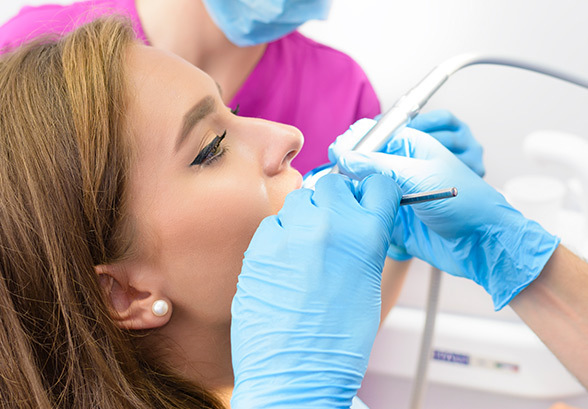 A root canal procedure can help save an otherwise hopeless tooth, can provide lasting relief from a toothache, and can prevent and treat infection.